Plant your garden and support animals! Does your dog need a dog buddy? Many of you know that I was rescued from Red Lake Reservation by the amazing Karen Good at Red Lake Rosie’s. From there it was foster organization Pet Haven of Minnesota that matched me with my mommy and my forever family. When Petcurean asked me to be a Petcurean Ambassador the best part has been their amazing donation of food to Pet Haven, which will help feed lots of foster dogs and cats over the coming months. 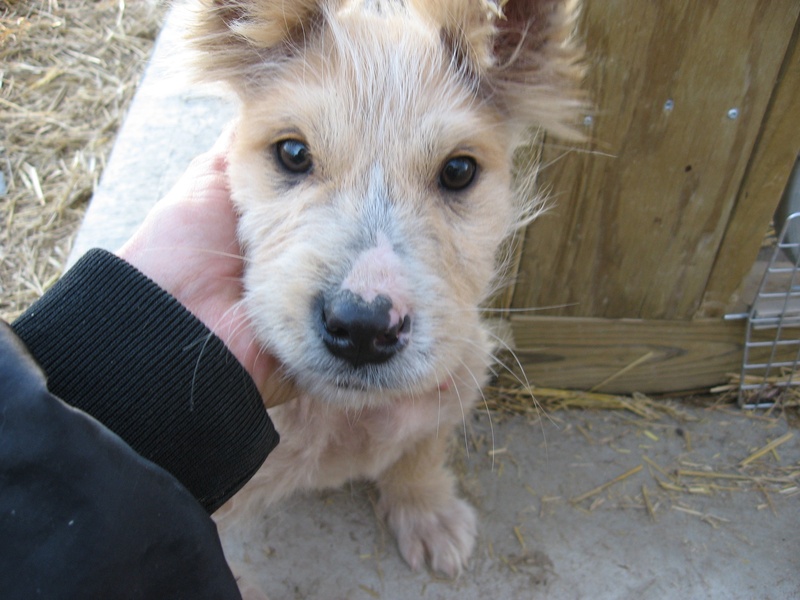 Here’s me the day I was rescued. If you’re not familiar with Petcurean, they are an independently-owned company based in Canada. Every Petcurean recipe is created using the highest quality, healthiest and most flavourful ingredients available. These are selected through a trusted network of farmers, ranchers and producers, who must meet or exceed our very stringent health, safety and quality criteria. Because we put pets first, we don’t use by-product meals, un-named meat meals or any ingredient from China. I’ve been enjoying the GO! line by Petcurean SENSITIVITY + SHINE™ and DAILY DEFENCE™. These are all high protein, lower carb recipes. There is even one that is gluten-free. The canned food is super nommy too but I’m not going to get that everyday. Here’s an FAQ on the Petcurean brand including a full list of ingredients. Thanks to Petcurean for reaching out and helping the foster animals at Pet Haven of Minnesota.